Studio Biscoe creates art, interactions and visualisations across theatre, dance, music and installation. 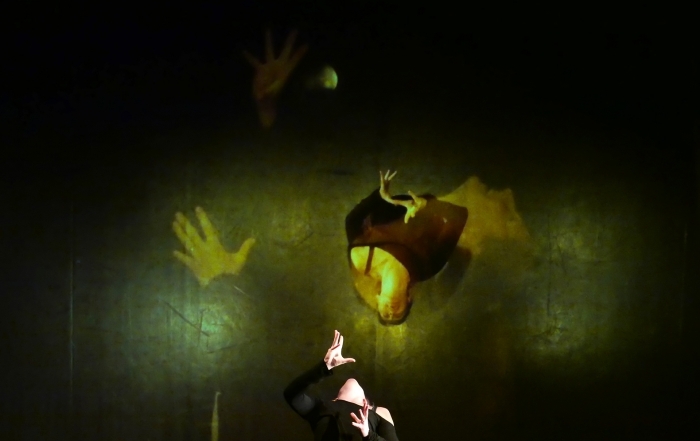 We work with live audio/video streams, projection mapping, 3D gaming engines, animation, discrete and interactive sensors, analog and digital electronics to realise stunning original works, both as solo projects and in collaboration with musicians, composers, choreographers, dancers and theatre makers. Though our work is primarily digital we imagine using traditional media, incorporating everything from charcoal and acrylics, cardboard and wire, machined materials, into the creative process, importing these primitive formats into elements that can then be digitally manipulated. Our work crosses geographical boundaries: we are currently involved in projects across Europe. Though we strive to be apolitical, non-judgemental and secular we are not without strong opinions; we are not frightened to question through art the world we live in and the human condition. 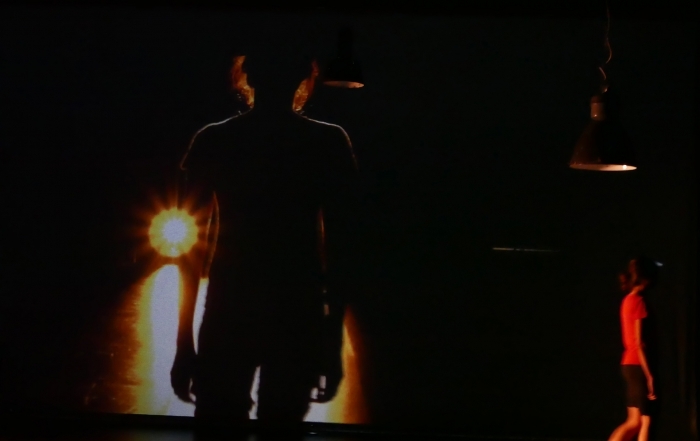 Opravdovi – a new networked performance project now in development. Premiering in September 2018. Networked performance (distributed, cyber or telepresence performance) the real time synthesis of performers and audiences at two or more locations as a unified reality. 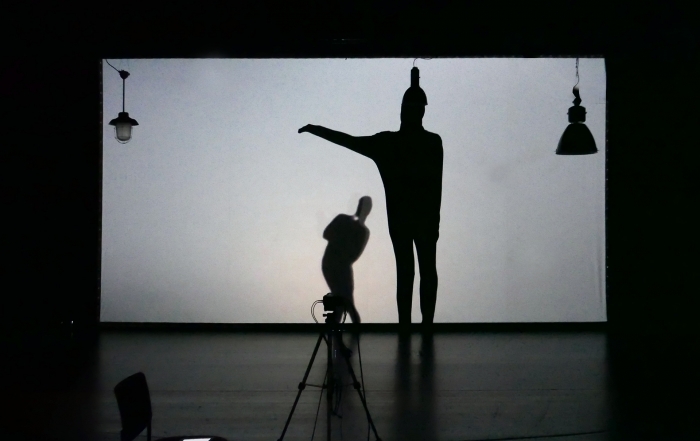 Studio Biscoe is at the forefront of artistic and technical innovations in networked performance, creating and supporting network enabled performance in dance, music and theatre. We are investigating and practising new approaches to the exploration of the distributed and networked performance space: questioning the real and the virtual; the layering of virtual and augmented realities; the importance of site specificity; the coalescence of performers and audiences within these virtually connected physical spaces. We understand real-time, bandwidth and latency, about how these effect interaction and audience engagement networked performance. Taking analog and digital media, video, live capture, streams, animation, program animation; intelligently rendering – with live or programmed sequencing – content into any combination of real, virtual and augmented environments. Performers and audience members can interact with the process, forming mapping masks, or targets for mapped projection. Studio Biscoe develops unique projection mapped environments in performance and installation art, for clubs and events, inside and out. Unbound from any one genre we work on both solo and collaborative projects in all areas of performance. Projects are typically engaged with our expertise in distributed performance, projection mapping, virtual/augmented realities, streaming, and digital/analog media crossover. Collaboration – from both an artistic and technical perspective – forms an important component of work in the Studio; we are always interested in approaches from directors, composers, musicians, choreographers and performers, however large or small the project might be. Studio Biscoe created and produced the digital art, conference and performance event Fascinate. In 2013 and 2014 artists and performers from more than 30 countries journeyed to Falmouth to perform, learn, educate and collaborate. For the 2014 event we built a custom stage in the middle of Falmouth, providing a base for installations and performances, a tower with powerful projectors to map the surrounding historic buildings, entertaining and engaging with thousands of visitors. Fascinate has been supported by Falmouth University, AMATA, Arts Council England, Falmouth Town Council and numerous Cornish businesses. We really don’t think about reinventing the wheel, system integration, the smart assembly of existing products, components, commercial and open source software is our mantra. However, we do design and integration very well – we used to provide systems to the likes of Boeing which were used in airplane and avionics systems design! We assemble customised computing platforms that have the performance, the interfaces and the reliability required for touring shows and installations. When required, we use rapid prototyping and development techniques to produce custom sensors and data acquisition solutions, networking, data distribution and human interface devices..